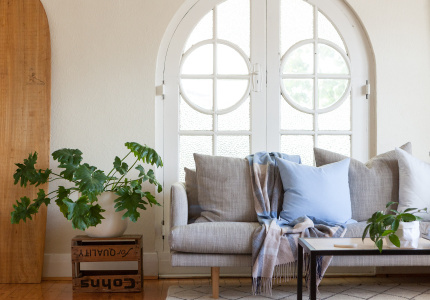 Plant stylist Emma Sadie Thomson and winemaker partner Jasper Button have polished up a 109-year-old cottage in Basket Range. 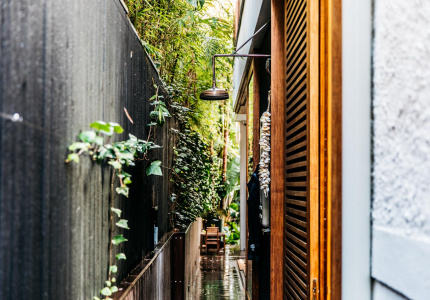 Emma Sadie Thomson is Adelaide’s go-to plant expert and stylist. She’s lent her green thumb to the interiors of the city’s best venues, and sells her indoor plants, pots and hangers at her studio and shop, Ensemble, which she runs with designer-makers Anny Duff (Good Studios) and Beccy Bromilow (BB Shoemaker). 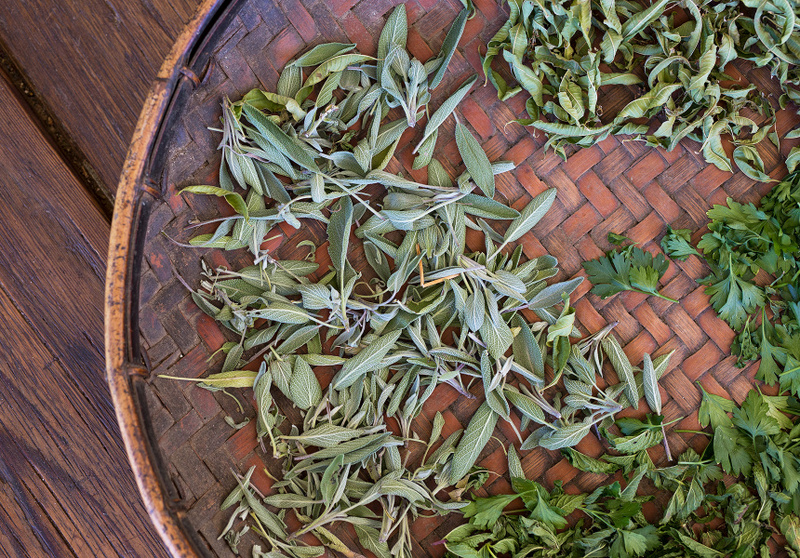 Naturally, there’s an abundance of greenery at her home – inside and out. 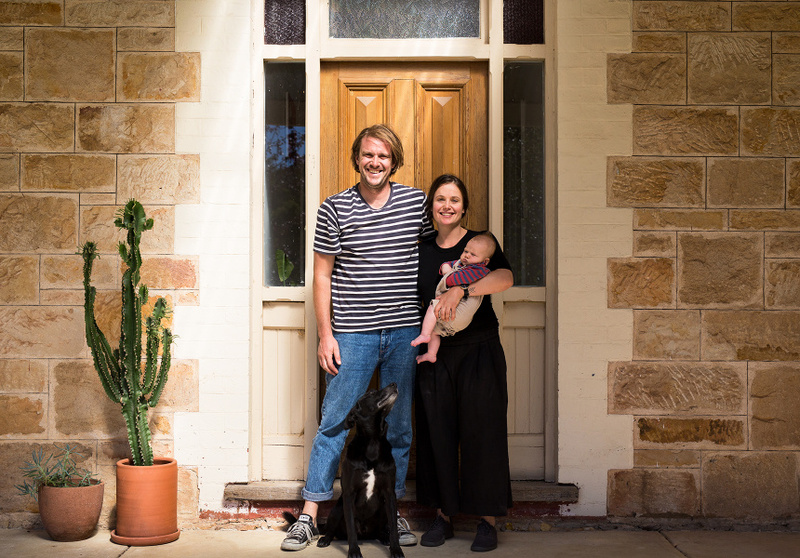 Thomson and her partner Jasper Button (Commune of Buttons winemaker and part-owner of The Summertown Aristologist), live in Basket Range – a lush, tiny pocket of the Adelaide Hills internationally renowned for the inordinate number of natural winemakers who live there. 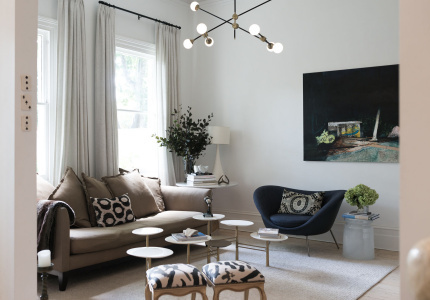 The house is surrounded by trees, bushland and grapevines, with “greenery views from every window”, says Thomson. The Commune of Buttons label is named after the family’s 60-acre property – an actual former commune – that has three houses on it. Button’s parents and his winemaker sister Sophie live in the other two. 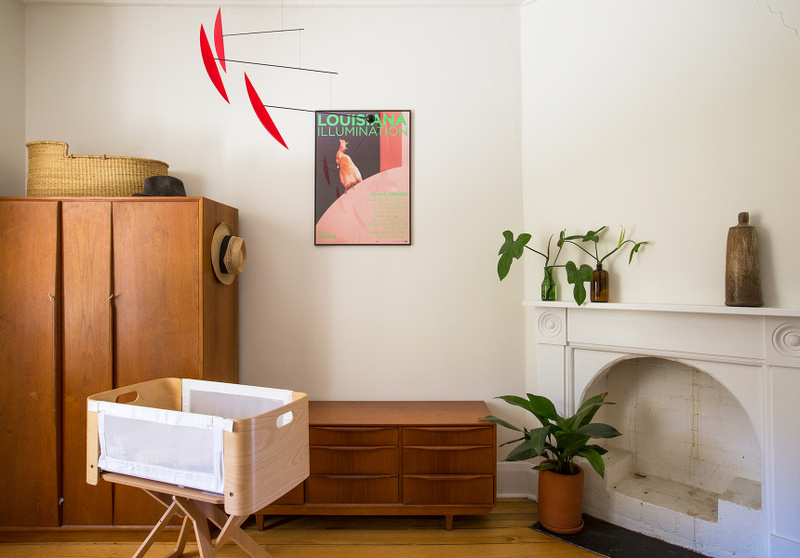 And another family member has just moved in – Thomson and Button’s three-month-old baby girl, Frances – spurring them to renovate for the new arrival. Have you made any changes since you moved in? When we found out we were having a baby we decided to paint the whole house and get the floorboards re-polished. We also renovated the kitchen, but kept the overall design the same. The bathroom and laundry was an add-on to the house originally, and needed re-doing. This is all new but we kept the footprint the same. Kitchen/living: this really is the heart of the house and where we spend the most time. It has beautiful windows overlooking the vineyards and lovely light. Ladderax – Jasper already had the ladders and I found the shelves on Ebay. Plus, all of the beautiful pottery from our travels to Japan that are on the shelves. 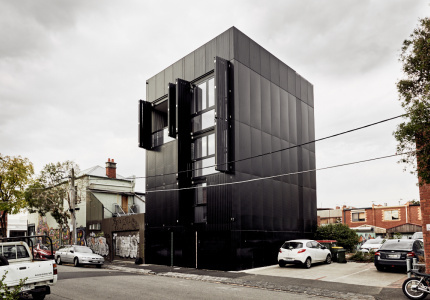 “Home Visit” is a Broadsheet series exploring homes across Australia.